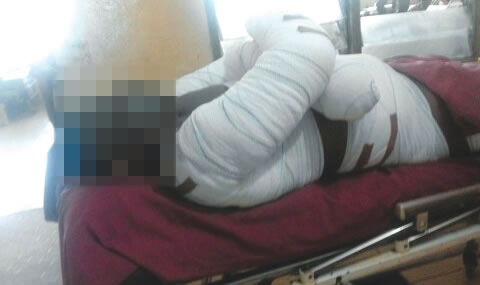 Home / Unlabelled / Reverend Father Burnt In Anambra In Lover’s House Flown Abroad For Treatment. Reverend Father Burnt In Anambra In Lover’s House Flown Abroad For Treatment. Awka, has been,reportedly, flown abroad for treatment. A source said the priest was flown abroad to cover traces. inferno while the Reverend Father sustained high degree of burnt. university in the state) on the fateful day when the incident occurred. apparently to cover traces. Are there no hospitals in Nigeria? “I have told them to stop covering this story. should be said and shame the devil,” the source maintained. priest was involved in the gas fire accident trying to save a life. no full facts of the story. never did by the time of filing the report. said the matter had not been reported to his office. back to our correspondent, but he never did.